Su Cheng Harris Simpson founded SCHSAsia & Partners with partners in 2006. Following the successful growth of a SCHSAsia & Partners, Su Cheng Harris-Simpson independently launched SCHSAsia in 2009. Since its independent launch, SCHSAsia has served the needs of destinations, not-for-profit organizations, community organizations, and bilateral associations. 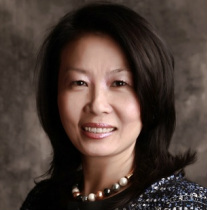 Prior to founding SCHSAsia, Su Cheng Harris Simpson was the Vice President of LTI Associates. She was responsible for marketing, event/project management, and business development. Su Cheng used her client relations and project management skills to assist both LTI and its clients advance their objectives in China. In her role at LTI Su Cheng managed projects for the American Chamber of Commerce-China (AmCham), the U.S. Foreign Commercial Services, Las Vegas Trade Commission, United Technologies Corporation, World Business Council on Stainable Development, Beijing United Family Hospital, Orrick Law Office, State of Kentucky, Golden Tickets and The University of Washington. From 2000 to 2004 Su Cheng was the Corporate Projects Manager for United Technologies Corporation in China. She was responsible for supporting the Operating Divisions, Corporate Headquarters and UTIO China in matters of internal coordination, quality improvement processes and overall China strategies. She analyzed and disseminated new information regarding relevant business environments and emerging opportunities to China-based venture managers, finance and human resource managers in Asia and U.S. Headquarters. She also managed and coordinated the annual CEO and executive visits to China. This demanding, highly integrated responsibility enabled Su Cheng to creatively engage and guide the decision-making process to a series of successful outcomes. Between 1997 and 1999, Su Cheng was the Marketing Director for The Capital Club in Beijing. In this position, she developed and implemented marketing strategies and club activities while providing leadership, training, and guidance to her team. She managed a budget of over $1 million U.S. dollars and was able to consistently exceed financial targets and goals. Also, she is responsible for all club events in addition to she producing newsletters and conducting market research and member surveys as a means of increasing growth and member satisfaction. From 1989 to 1997, Su Cheng worked for The Boeing Company in Seattle, Washington. She worked both as a Buyer and a Requirements Specialist. She was responsible for writing and negotiating supplier contracts, formulating administrative procedures for the departments, working as a vendor liaison, performing cost analysis, managing equipment and costs. Su Cheng received her MBA with emphasis in Marketing and International Business from Seattle Pacific University, Seattle, WA in 1996 and her BA from the University of Washington, Seattle, WA in 1989. She served on the Board of the American Chamber of Commerce in China (AmCham) for three years. She served as Vice Chair in 2002 and 2003. She is the Co-Chair of the AmCham Women’s Professional Committee and the AmCham Small Business Forum. She is currently President of The University of Washington Alumni Association, China. Since moving to China in 1996, Su Cheng has been actively involved in the Beijing business community. She has forged relationships with the American, British, Japanese and Australian Chambers of Commerce, the U.S.-China Business Council, the U.S. Embassy and a range of Beijing civic groups. Su Cheng is fluent in English and Mandarin Chinese. Su Cheng lives in Beijing with her husband Brad, a television journalist, and their daughter Cailin.